1. We only use 4 to 5% of our brains. The usual ten percent myth is wrong, according to Brain Vizion. We have even more untapped potential waiting to be unlocked! Brain is the most complex organ in the human body & serves as the center of the nervous system. Brain is the amazing organ as we go deeper we realize the miracles of the GOD. If all information of all books in the world is loaded into the brain, human brain will never be full. Do you know, we are using at the most 4% to 5% of potential of our brain?. Potential of human brain is beyond our imagination. Full potential is a result of proper education (mental development). Think what will happen if we use whole brain? Everyone knows the left brain/right brain myth. But did you know that you should stimulate your mid brain? Mid-brain activation is a method to stimulate and balance the left and right brains. 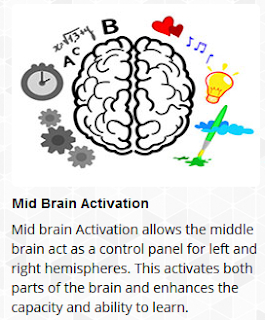 Mid brain Activation allows the middle brain act as a control panel for left and right hemispheres. This activates both parts of the brain and enhances the capacity and ability to learn. What is the middle brain? 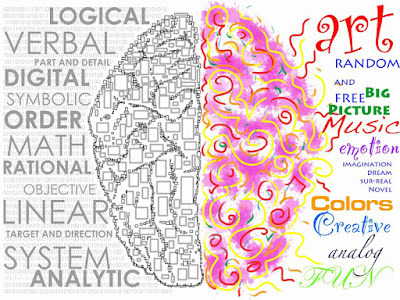 Mid brain manages functions of left and right brain. 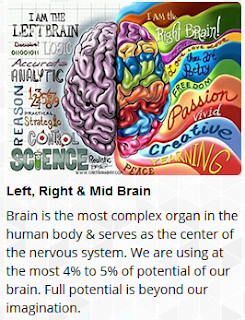 Mid brain is the ‘bridge’ between left and right hemispheres. [No, that would be the corpus callosum.] Once the mid brain gets activated, information will exchange more efficiently in between both hemispheres which leads to more efficient in learning and absorbing information.Mid brain activation allows the brain to function as a whole, rather than only utilizing one part of the brain. 3. Left Brain is Beta, Right Brain is Alpha. Did you know that each hemisphere has a unique pattern of oscillatory brain activity, operating at separate frequency bands? 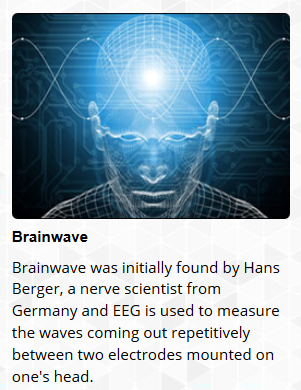 One type of brain function belongs to left brain which operates at Beta wave frequency (14Hz to 30Hz cycles/sec). This is the brain we are most familiar with, having developed this brain in traditional academy settings. ... The right brain works at Alpha wave frequency (8 to 13 hertz cycles per second). This is the frequency of the brain associated with a relaxed alert state of mind such as in meditation, just before getting out of bed or while listening to music. It is not the type of brain activity which determines whether something is right or left brain oriented, but rather the brain wave that is operating at the time (Alpha or Beta). 4. Move over theta, it's time for THEATA wave learning. In order to awaken this part of the brain, it is necessary to stimulate a hormonal discharge by sending a special vibration. For this scientific alpha-theta level music are played where apparently only children can receive these waves effectively. In general, theta and alpha waves belong to babies and children. Since these waves belong to the subconscious mind babies and children feel easier to learn something or receive and follow somebody else’s words. During the mid-brain activation, a child learns how to enter the condition of meditative trans in order to be able to ”see” with eyes closed (Blind-folded). Blindfold activation ... is a form of extra sensory perception.Our activated mid-brain’s brain-wave may detect objects nearby & appears in our mind as a form of visualization.Science have proven that even animals are able to perform such ability when moving around or looking for food.e.g.Bats.In human beings , in Blind-fold activation intuition play an important role. OK then. What can THEATA wave training do for you? Children will be given an opportunity to do activities of ALPHA & THEATA level vigorously throughout the workshop.Conventional school emphasize predominantly on BETA waves & neglect the importance of ALPHA & THEATA wave learning environment which are for more conducive. The benefits of their Brain Stimulation program also include improvements in attention, mood, motivation, energy, pain, sleep, performance enhancement, and stress reduction. 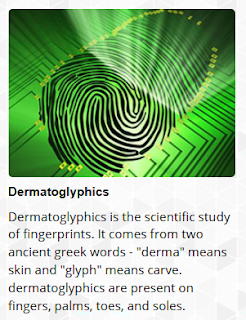 It gets even weirder, with the quackery known as the Dermatoglyphics Multiple Intelligence Test (DMIT). What is the Relation between Human Brain and Fingerprints? Don't click unless you want to see pictures of anencephalic babies. Instead, if you really want to read more about DMIT, Hand Reading News & Reports has a comprehensive review of its history, pseudoscientific claims, and scams.